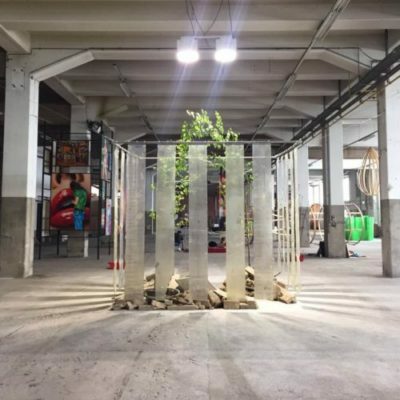 We supported local artist and design student Anna Müller with the construction of an installation “Implantation” for the exhibition “TonArt-TonWerk-DieZweite”. 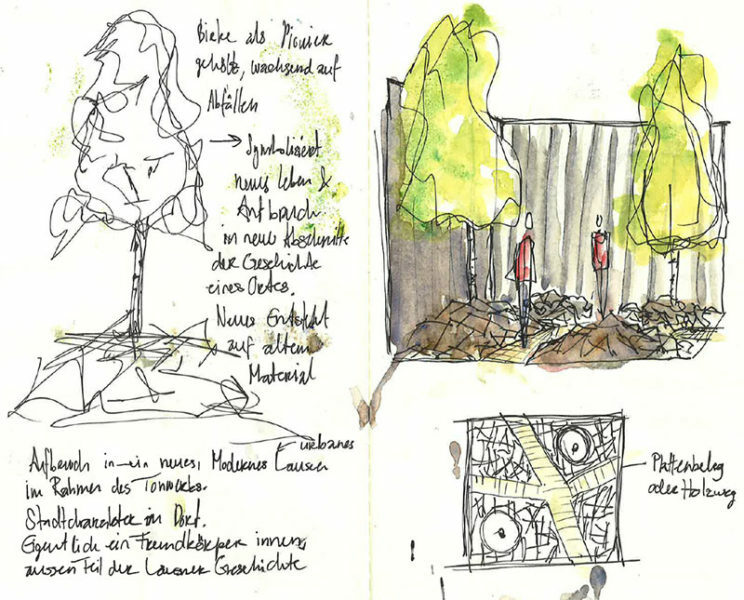 It should visualize the emergence of new life from the ruins, happening currently during a repurposing of the ancient brick works and is composed of demolition waste found on site and two birch trees obtained from a local gardener. The picture above shows the initial sketches and the final appearance. The realization was supported by Novindustra GmbH, smv3.ch GmbH and friends while the trees were rented from Heinis Baumschulen GmbH. We would like to thank everybody involved for support and Kitty and Peter for their dedication to our local culture life.